I need a space to jot down groceries that we need. A large space. So I painted one whole wall of my pantry. 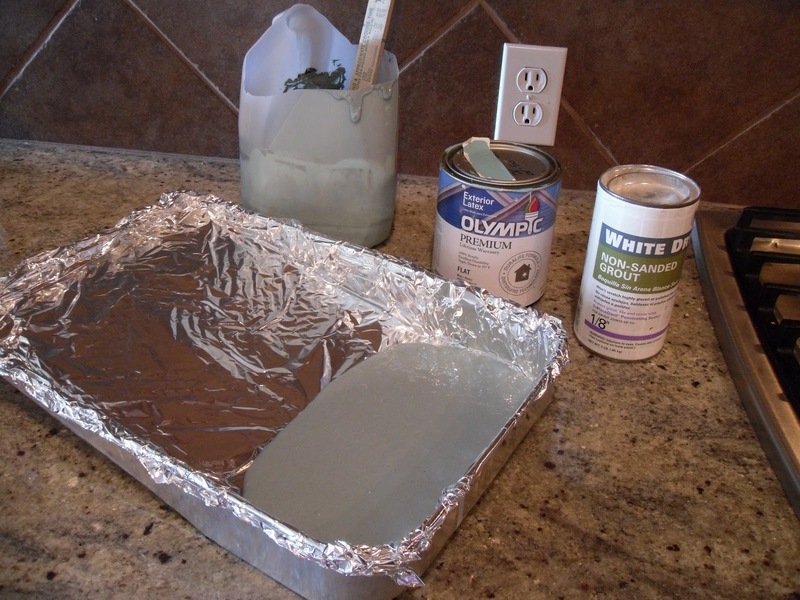 First I lined my paint tray with foil so it would be super easy to clean up. 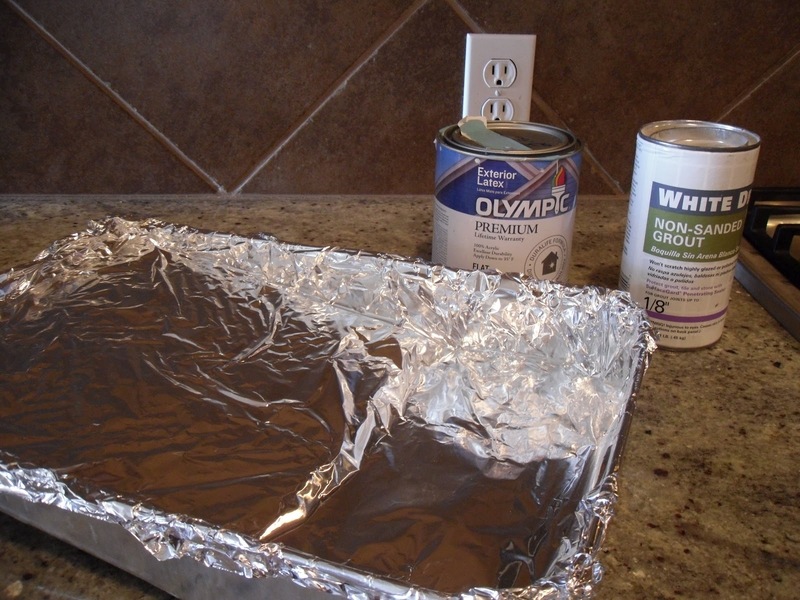 This way I don’t have to buy disposable trays, I just line them and toss the used foil. I bought some cheap paint that someone returned to the store. It was the perfect shade for my project. You can also custom mix the paint. If you do this, make it a tad darker than you think because when you mix the non-sanded grout in, it lightens it just a little bit. 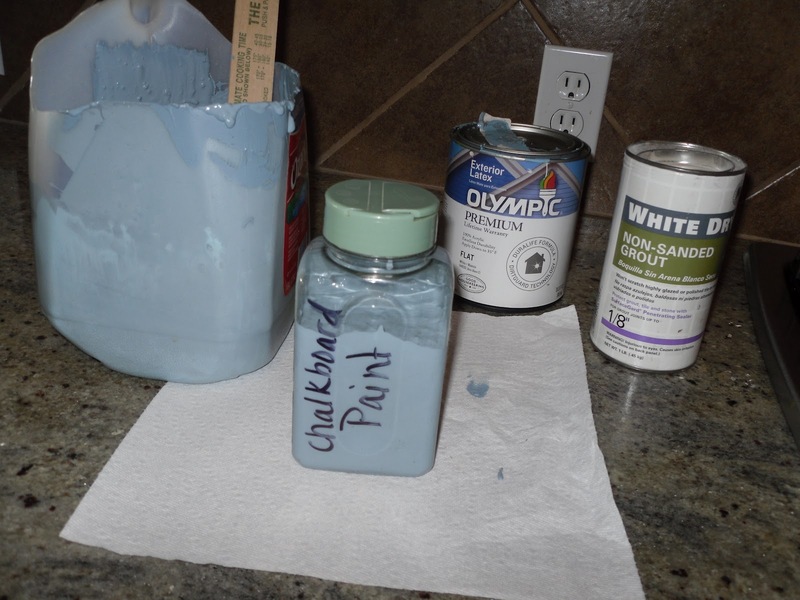 For every cup of paint you use, add two tablespoons of non-sanded grout and stir well. Then stir some more. No way did you stir it well enough already. Then just roll it on like normal paint. I taped off the outer lines and it didn’t bleed to terribly bad. 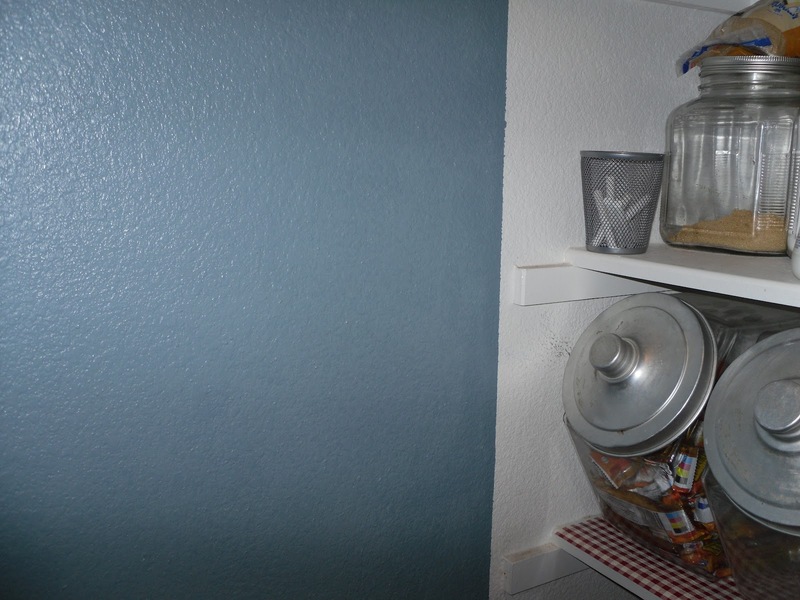 I should have burnished it more, but since it’s a pantry, I wasn’t going all OCD on it. I put my leftover paint into a clean used spice container. This way, when (not if!) I need to touch up, it’s quick and easy. 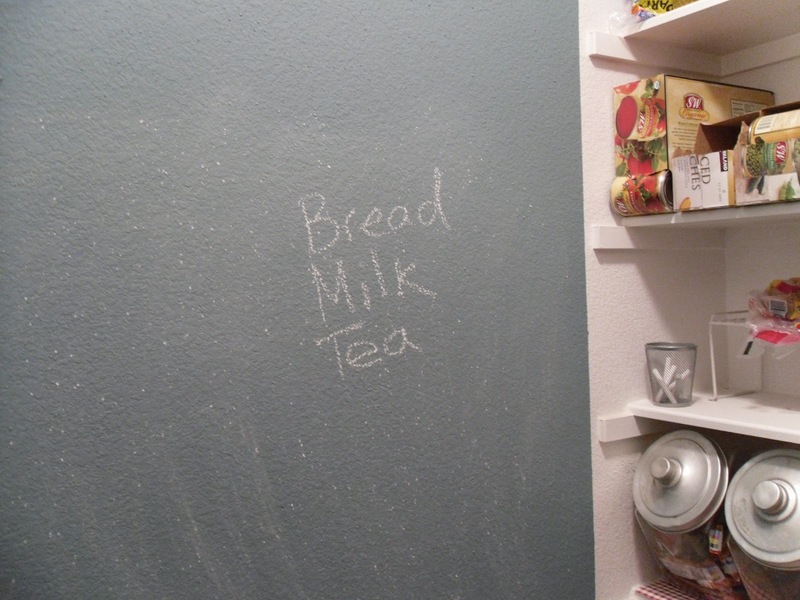 Before you write on it, let it dry for 24-48 hours, then rub chalk over the entire surface. It preps the surface so you don’t have ghosting that is really hard to remove. And voila! A very large chalkboard for my very large family.